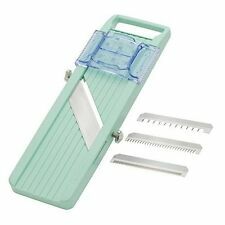 Benriner Japanese Mandoline Slicer Vegetables Cooking Green Japan new . NutriSlicer The Super-Fast and Easy Way to Make Nutritious Meals Everyday  NEW! Material: stainless steel pp. Style: as shown. 100% new high quality. All pictures are for illustration purpose only and Colours may vary slightly. Import Duties. 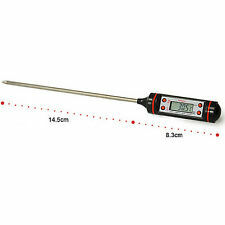 It can greatly detect precise temperatures and easy to use. Moreover, it will be a good choice for indoor cooking and outdoor grilling! 15 minutes auto shutdown for power saving (option). Accuracy: 0.0°C to 80°C ( ±1°C or 2°F), other range ( ±5°C - 10°C or 10°F - 20°F). Quantity: 10Pcs each bag. Can be used to transfer perfume from bottles to vials, atomizers, small bottles, etc. Item Type: Perfume Funnel. 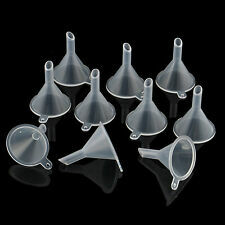 Package Included:10Pcs x Perfume Funnel. 1 Pineapple peeler. 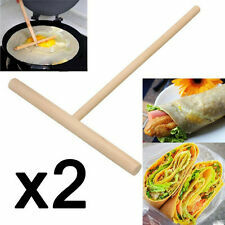 (1) Made of high quality stainless steel and plastic---healthy and reusable. Material: Stainless Steel. (2) Light weight, easy to use and clean. Due to the light difference, the color may be slightly different. 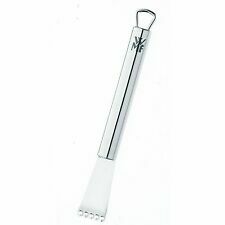 Mandolin Slicer Vegetable Slicer Fruit Cutter Stainless Steel Kitchen Chopper US. 5pcs Blackhead Remover Needle Tools Acne Extractor Pimple Popper Tools Set Kit. Wedding Petticoat 1 Hoop 3 Layer Bridal Long Underskirt Slip Crinoline Prom US. Unite States,Ireland,Austria,Belgium,Denmark,Germany,France,Finland,Canada. Color Pink, Green, Blue, we send by randomly. Note: the picture shown is a representation of the item,you'll receive from the available lot. 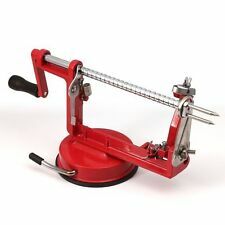 Spiral Julienne Vegetable Slicer - Julienne Spirelli Veggie Pasta Cutter. Makes a Thin Curly Vegetable Spaghetti. 2 Julienne Blade Sizes. Now with the newly designed Spiral Julienne Vegetable Slicer. Portable Household Mini Plastic Impulse Hand Heater Bag Sealer Capper Sealing. The visible window design makes it easy to identify the bags. 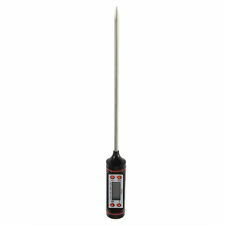 It can greatly detect precise temperatures and easy to use. Moreover, it will be a good choice for indoor cooking and outdoor grilling! Neutral or. We maintain the excellent service standards. Australia, France, UK, Germany, USA, and other countries. ●Also suitable for shallot,onion,and other vegetables. 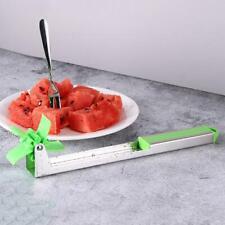 Perfect for cutting green onion, spring onion, shallot and other vegetables ect. Can easily cut the onion and shallot into slices. 1× Shallot/onion slicer. 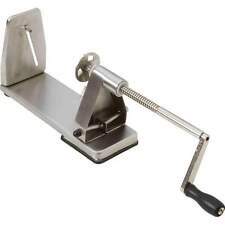 1 x Potato Cutter. Material: ABS Stainless Steel. Color random. The color may have different as the difference display,pls understand. Canada, United Kingdom, Austrilia, France, Germany, Spain, Ireland, Italy, Others. 1 x temperature gauge. Material:Stainless steel. Convenient to carry, beautiful and durable. 60 Second Salad Maker Cutter Bowl Healthy Fresh Salads Made Easy Tool Slicer. You will get one 60 second salad maker(BPA-free) and easily rinse, chop and serve almost any salad in seconds! This is Salad Cutter Bowl, white can help cut vegetables and fruits easily! Making it perfect for making fruit salads or for creating bite sized piece for the kids. It is suitable for apple, pear, etc. Material: Stainless Steel. Due to light and monitors effect, color difference may exist slightly. Display Type: Digital. Working temperature range for the body, 0℃~50℃/-23℉～122℉. Temperature Range: -50℃~300℃(-58℉～572℉). Protective plastic sheath. Power Source: 1 x AG13 Button Battery. Product Size: 4.4cm x 3cm x 3cm/1.73" x 1.18" x 1.18" (Approx.). If you cook, bake, or prepare any type of food, it's helpful to have the right kitchen items and gadgets for the specific job at hand. 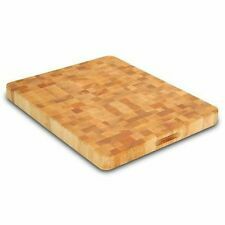 The proper gadgets help you cook faster and with more delicious results; therefore, it's a good idea to have some handy tools before you begin your next culinary adventure. 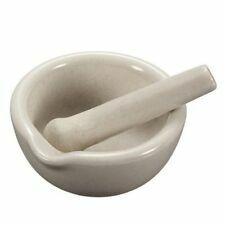 No matter what kitchen tools and gadgets you may need, you can find them. What categories of kitchen gadgets are there? From egg and pancake rings to a variety of different spoons, you can find the right kitchen utensils for the job. These products can help you to create beautiful food with much less time and effort. There are items available for snacks, breakfast, lunch, and dinner preparation. Some of the products require batteries or electrical outlets, but the majority of them are simple machines that are ready to use. What materials are used to make kitchen tools and gadgets? A majority of kitchen products are made from durable plastic or resin materials. Stainless steel is another common choice for manufacturers because it looks great, cleans easily, and lasts for a long time. Some flexible materials are also used. 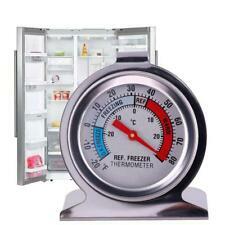 Thermometers and timers are usually made from a combination of materials. Can the products be placed in the dishwasher? Just about every item that doesn't use batteries or electrical cords can be cleaned in the dishwasher. Spoons, cutlery, molds, and funnels can usually be placed directly into the dishwasher. Some items may need to be placed on the top shelf, so it's important to check the specific cleaning instructions before putting them in the dishwasher. The products that cannot be placed in the dishwasher can often be taken apart and cleaned rather easily with soap and water. A soft-bristled brush can be used to reach particles in smaller, hard to reach areas. What companies make kitchen tools and gadgets? Can you choose colours that will match your kitchen appliances?